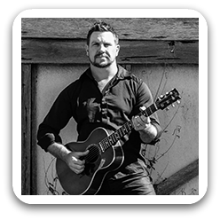 Brisbane Soloist / Duo / Band 391 has been a force to be reckoned with for the past 23 years performing Events, Weddings & Clubs all over Australia. The band are now based in Brisbane and perform as either a Soloist, Duo to 6 Piece. The 6 Piece is a favourite among clients which includes a Horn Section, which extends the band to an unbelievable sounding powerhouse. With over 1000+ Songs in the Bag, Brisbane Soloist / Duo / Band 391 is renowned for his Personality and also for “Reading a Room” to perfection, making sure that the right song is played at the right time and no 2 nights are the same. 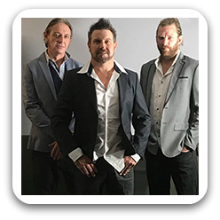 Throughout a show with Brisbane Soloist / Band 391, you could expect to hear anything from 60’s / 70’s Rock’n’Roll, 80’s Gold, 90’s Rock Anthems, Classic Sing along’s, Huge Aussie Hits & Current Chart Toppers. Basically, EVERYTHING! Brisbane Soloist / Duo / Band 391 has performed with both National & International acts on several occasions such as Thelma Houston (USA), Renee Geyer, Glenn Shorrock & Doug Parkinson and has also supported legendary acts including, The Temptations (USA), Daryl Braithwaite, Diesel, Ross Wilson, Mental as Anything, Dave Gleeson, James Reyne, Joe Camelleri & The Radiators. Can perform as a: Soloist Duo to 6 Piece Band and are available to perform in Brisbane, Gold Coast, Sunshine Coast and Surrounding Areas. Really good band + music and songs. Band 391 – 3 piece. Very good band, enjoyed the music. Friendly, Reliable and quick to set up and pack up. What an awesome soloist! A lot of our guests commented on how great you were at my finances 30th. You were very interactive with the crowd and we wouldn’t hesitate to use you again. Thanks for creating a great atmosphere. Even our neighbours were happy. Absolutely loved the music! Fantastic night, everyone commented on how good he was 🙂 would definitely recommend him to anyone! What a great night! We had to move after 1 set due to rain into a more enclosed area, but this was no issues at all. He was happy to take requests and played to suit the occasion. Everyone had a great night and I received loads of feedback at how good he was. I would recommend him for any gig. Fantastic night for joint 50th birthday , band interactive, got the crowd going… Dancing all night. Would definitely recommend. We had these guys for our wedding and we along with everyone there were impressed. Definitely would get these guys back for another gig. Loved the night!!! The boys were awesome, first class band all round! The boys made the party rock, cant thank or praise them enough. He was AWESOME, he made our night. We would recommend him to anyone and cant wait to have him for our next event. Very friendly mingling with our guests. Top Stuff Mate. I organised band 391 for my sisters 30th birthday. Great band, great music and everyone had a great time. Highly recommend, we will definitely use these guys again!